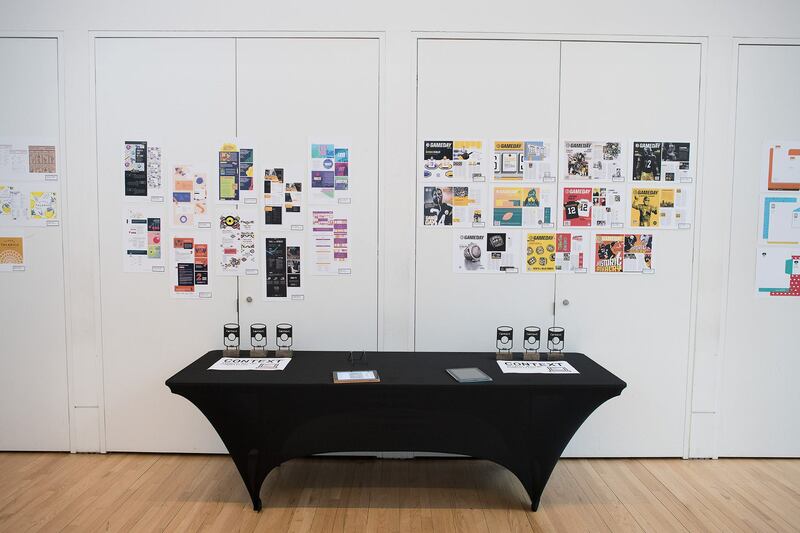 Context is a new annual event for graphic design students to compete against their peers on a level playing field. The format of the competition is inspired by the former Real Show, the decades-old student competition of The Art Directors Club of Metropolitan Washington (DC), which dissolved in 2013. Context features four real world design projects, previously completed by real clients of Pittsburgh design agencies.